Notable brands’ work can provide inspiration for your own ideas. Here are ten examples of advertisements that you can emulate to develop effective magazine advertising. I like to collect ads. Most marketers would say that advertising is one of the fun parts of marketing. But beyond the fun, I like to have an ongoing bank of inspiration to learn from and draw upon. When it comes to marketing strategy, there are skills, tools and techniques to learn and master. But experience matters, too. Often, having a collection of historical and contextual examples (case studies) is useful even if you’ve never worked directly on those brands. 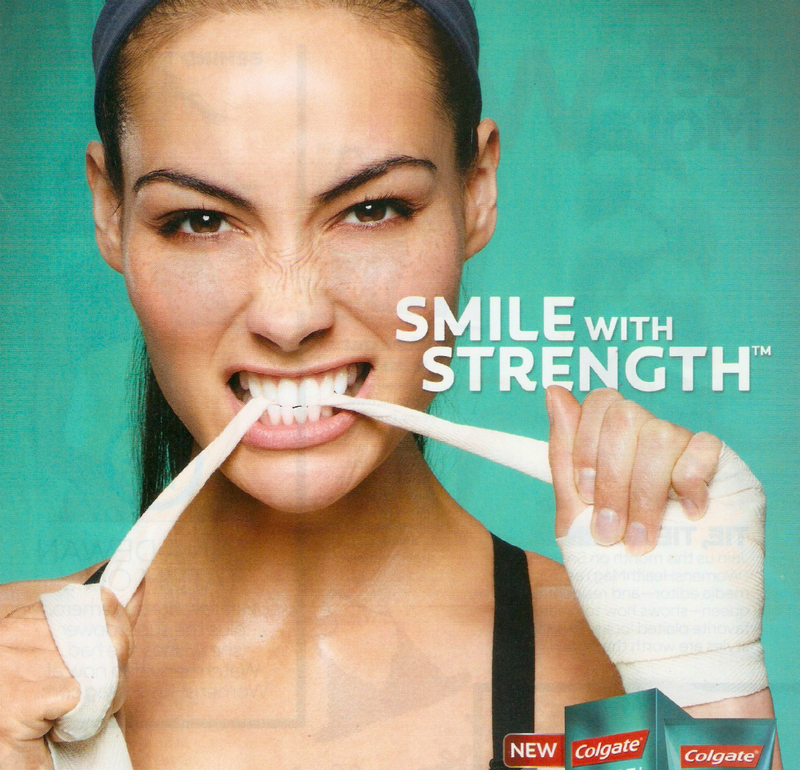 Whether you are starting your own collection, or just want a few of the latest examples, I’ve pulled together ten examples of advertisements that have been recently published in magazines. All of these print ads ran during the late summer/early fall of 2016. You’ll notice that all ten of the ads meet the following four criteria for great advertising. Single-minded benefit/message: Communicates a clear benefit to the reader and is focused. The less you say, the more the reader will actually take away and remember. Visualization/dramatization of the benefit: Reinforces the desired mental takeaway with a compelling visual. This is also how the brand often grabs attention and gets readers to pause before turning the page. Strategic insight: Takes advantage of a meaningful customer/consumer insight, competitive point of difference, or both. This increases the brand’s relevance and helps elicit a behavior change among the target audience. Brand equity: Emphasizes and reinforces the specific equities (names, benefits, attributes, design characteristics, etc.) the brand wants to own in the minds of consumers. The following ads appear in alphabetical order. Advil (Pfizer) dramatizes the benefit with a torture test approach. The woman’s demonstration of strength despite her age is memorable and gets you to stop on the page. 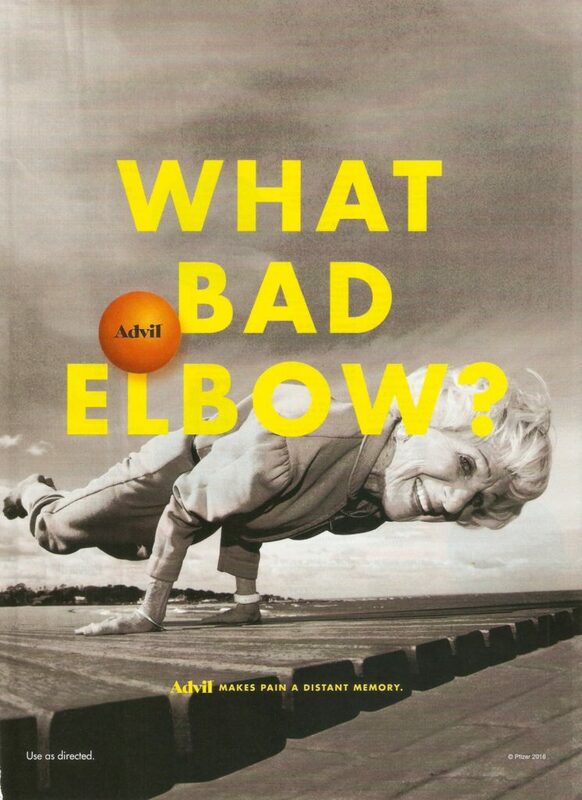 The use of Advil’s signature yellow type reinforces the brand’s equity. 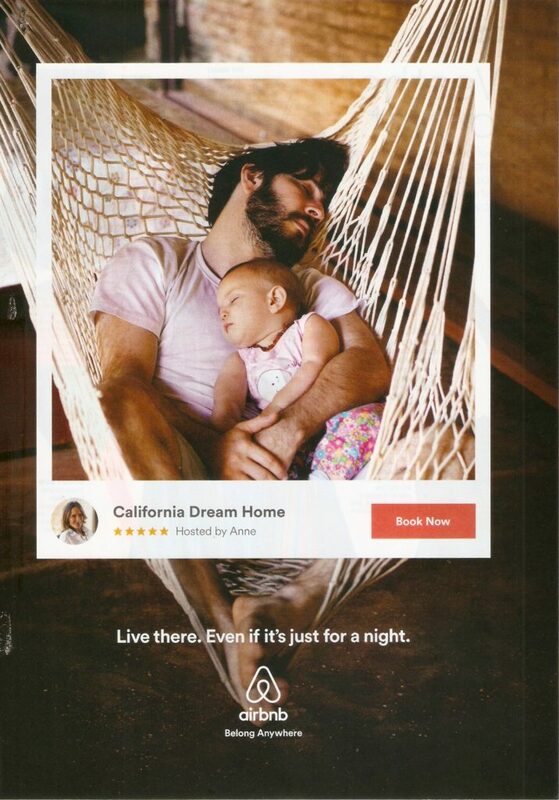 Airbnb pulls at your heartstrings with a picture-perfect experience. The ad is part of a larger campaign that urges you to not just visit your dream destination, but live there instead. Elements from the booking site are used to create a Polaroid-like frame… Nice touch. 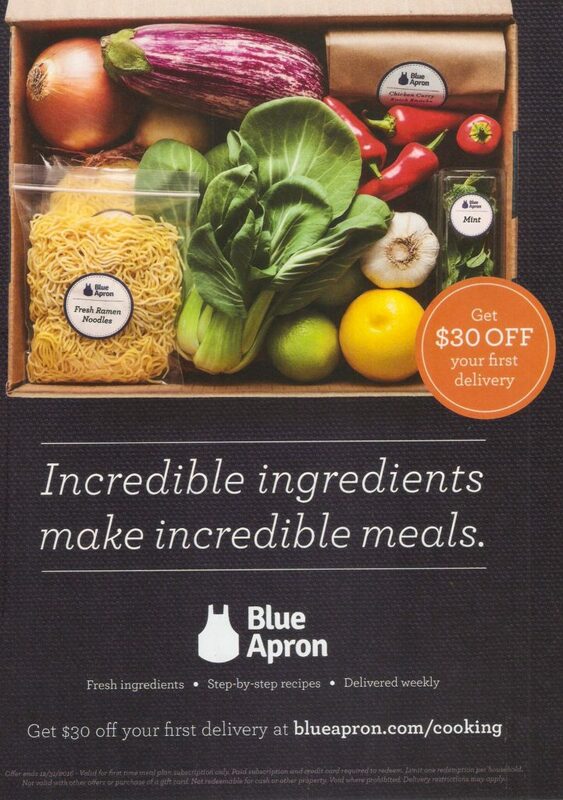 Blue Apron has chosen to feature their incredible ingredients—clearly what they believe is a point of difference. It seems they are targeting a consumer that wants to cook from scratch, but doesn’t have the time or knowledge to do it on their own. The image highlights the delight of opening the box, and the ad has a clear call to action. 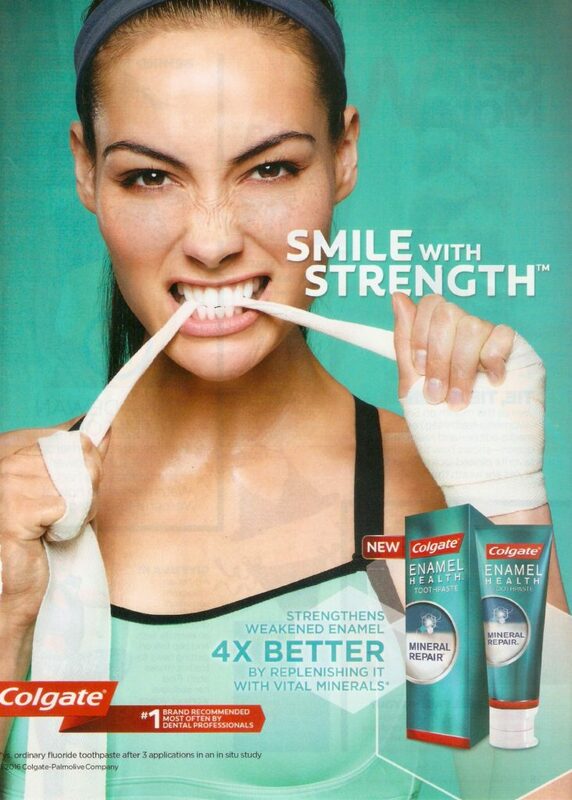 Colgate also uses a torture test approach in this ad by visualizing the woman’s enamel strength. The ad is simplified down to visual, product shot, and power claim. Notice that the background, woman’s clothing, and brand ribbon all reinforce the brand and package design equities. 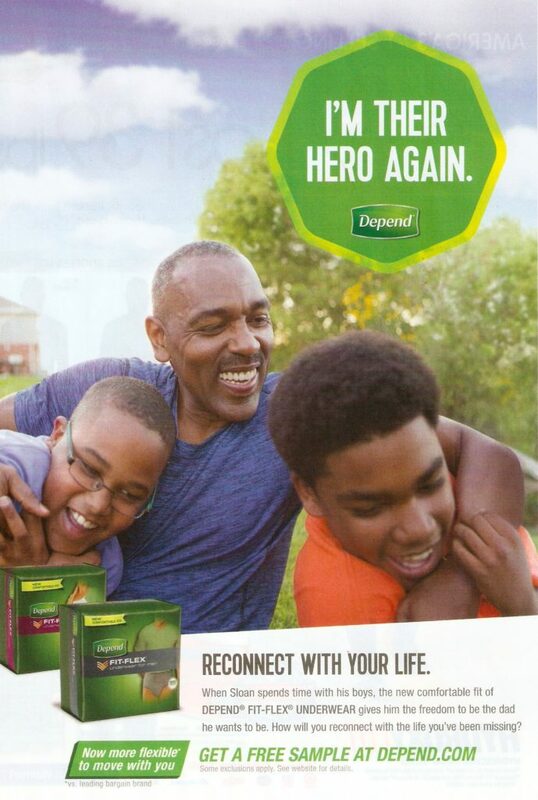 Depend (Kimberly-Clark) chose to go beyond functional and instead dramatize the emotional benefit—freedom to reconnect with those you love. What man doesn’t want to be their family’s hero? The free sample is a nice call to action, helping to induce product trial. 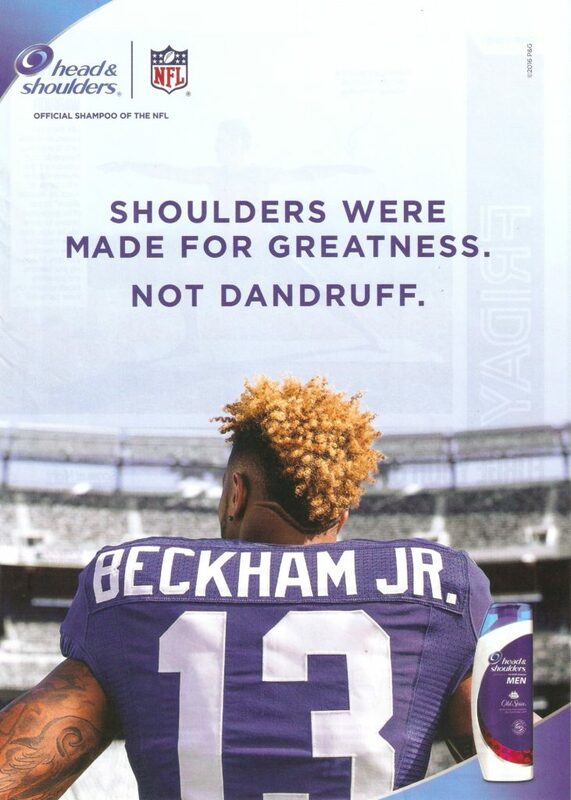 Head & Shoulders (P&G) features a great visual and headline combination, and communicates both the functional and emotional benefits. Odell’s hair looks great, and what better way to communicate greatness than with an NFL star? Notice that the coloring and framing of the ad reinforces the brand’s visual equities. If you’ve conducted any research with American Millennial consumers, you’ll recognize the insight behind this ad—Millennials often believe they are (or want to feel) unique. Pandora has intentionally combined a seemingly Millennial woman with not-so-obvious ethnicity, curly hair, and a number of unique accessories to exemplify the unique look that it promises. Sargento effectively focuses on the functional benefit in this ad. The chart visualizes Sargento’s point of different versus the competitive substitutes. 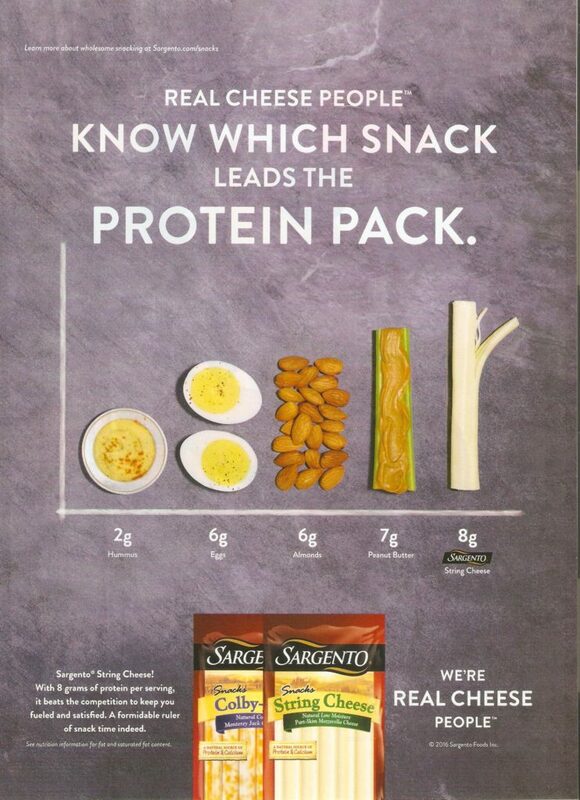 And, the strategic intent is clear—get consumers to switch from alternative protein sources to Sargento string cheese. 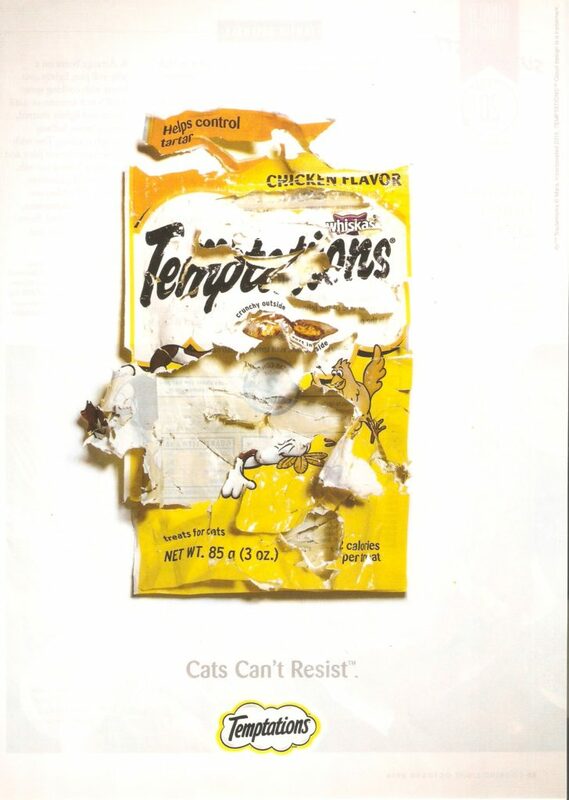 Whiskas Temptations (Mars) does a very good job of dramatizing the benefit. There’s a clear and powerful takeaway of irresistibility using imagery that gets you to pause before turning the page. Many cat owners will recognize the clawed-through package and likely relate. And, there’s just enough packaging left intact to make the branding evident. Last but not least, Tylenol (Johnson & Johnson/McNeil) visualizes the emotional benefit. The idea is similar to Depend. However, Tylenol’s approach uses tighter and cleaner copy, opting for a succinct capture of functional and emotional in the two-line headline. 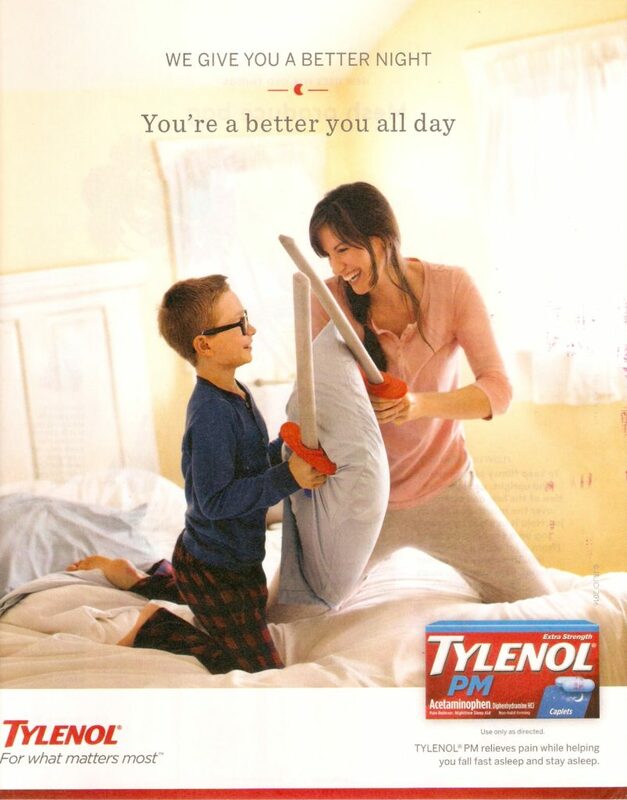 Notice the use of Tylenol’s signature red within the headline, image and border at the bottom of the ad. Enter your information below to download a PDF of all ten examples of advertisements to emulate. If you found this article helpful, use the buttons at the top of the page to share this post. You can also subscribe to receive blog and article updates.